The originality and truly revolutionary nature of social control characterising the United States of America from the early part of the nineteenth century is fully intelligible if we bear in mind social attitudes towards deviant phenomena in the colonial period preceding the birth of the new republic. 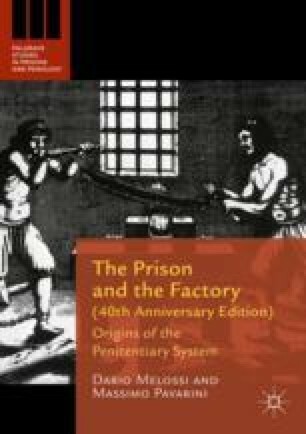 Labour is the fate of the modern peoples … Labour must become the religion of the prisons. A society-machine requires purely mechanical means of reform.